Shirts With Random Triangles: Michigan Adds Four-Star WR Prospect Dylan Crawford To Its 2016 Recruiting Class. 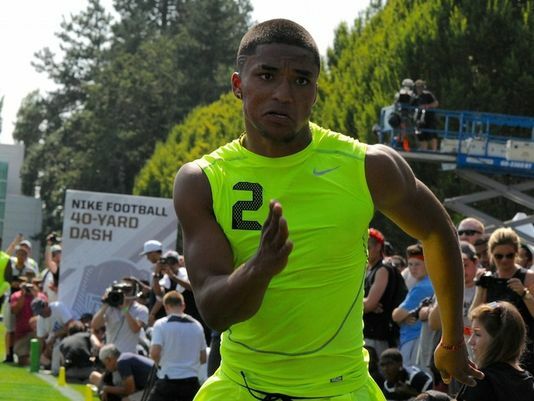 Michigan Adds Four-Star WR Prospect Dylan Crawford To Its 2016 Recruiting Class. Dylan Crawford. Image via The Detroit News/Scout.com. Michigan has added a 24th commitment to its 2016 recruiting class. Rancho Santa Margarita, Ca. high school senior wide receiver Dylan Crawford committed to the Wolverines on Saturday. Crawford made the announcement of his commitment to Michigan at the U.S. Army All-American Bowl Game, which was held at the Alamodome in San Antonio, Texas. 247Sports grades Crawford as a composite four-star wide receiver prospect. The recruiting website ranks Crawford at no. 20 among WR prospects for 2016, at no. 18 among 2016 prospects from the state of California, and at no. 113 in its composite rankings of 2016 prospects nationally. Crawford attends Santa Margarita Catholic High School in Rancho Santa Margarita, Ca. He stands 6'1, and weighs 186 lbs.